The average rating for this phase is 5.5, which is solidly mediocre, and that pretty much sums of the movies of this period: solid, but mediocre. 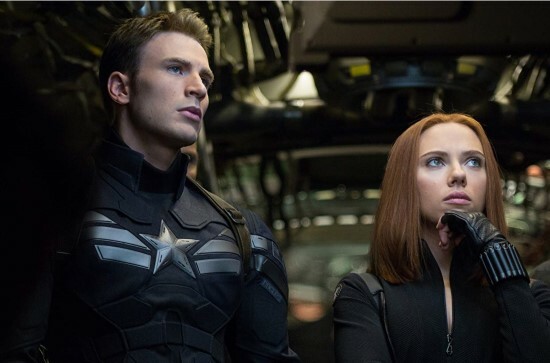 After an experimental start in phase 1, Marvel had clearly worked out its superhero movie formula by phase 2, which is both the strength and the weakness of these movies. The hero is an ordinary guy (still almost entirely guys) who gets or discovers some awesome power, struggles to balance his responsibilities as a hero with his own desire for a simpler, more comfortable life, and ends up fighting the equal and opposite guy (still entirely guys), who wants to use his power for wealth and/or self-aggrandizement. Marvel’s formula is by no means a bad one. It consistently delivers watchable summer popcorn flicks, but in phase 2 we begin to see the limits of the formula. Movies that stick to the formula chug around in the middle of the range, while those that stretch their bounds sometimes excel and sometimes flop. Iron Man 3 rates a 5, the lowest of the Iron Man movies, largely because Tony Stark’s character just doesn’t have any room to grow. Number 3 provides some good action and Tony-tinkering, but its emotional rhythms just feel like a retread of 1 and 2. Thor: The Dark World gets a 4.5, a slight step up from the first Thor, which isn’t saying much. Christopher Eccleston’s wooden performance as the villain Malekith, who gets almost no interaction with any other characters to enliven his scenes, doesn’t help the murky plot. The lack of chemistry between Chris Hemsworth’s Thor and Natalie Portman’s Jane Foster drags the movie down, although the perpetual spark between Hemsworth and Tom Hiddleston’s Loki brings it back up a bit. The best movie of the phase is Captain America: The Winter Soldier, at 8. While we don’t like everything about this movie (I, for one, have never felt emotionally invested in the Steve-Bucky relationship), its pacing is crisp, the action is sharp-edged, and the emergence of the new Hydra represents a daring narrative choice for the MCU, which could have chosen to stay on safer ground. The Winter Soldier is followed up by the worst movie of the lot, Guardians of the Galaxy, at 3. We know that our opinion of Guardians is not shared by many Marvel fans, but we find the movie tedious and most of its characters annoying. We’re not fond of stories in which a lone competent woman with a strong motivation has her narrative taken over by a self-centered man-child. We’re also not on board with a story whose emotional climax comes with that woman getting called a whore by another character out of the blue. Besides, all the crap we didn’t like when we were kids in the 80s is still crap we don’t like now. Avengers: Age of Ultron muddles through with a 5.5. It is a movie filled with character moments that almost work, dialogue that almost means something, and narrative choices that almost make sense. A few excellent performances, like James Spader’s Ultron and Paul Bettany’s Vision help lift the rating, but they’re pulling against a lot of dead weight. Ant-Man takes us out on a high note, at 7, with a zany tiny-sized heist that, like sucking on a good piece of candy, doesn’t really satisfy your hunger, but sure feels good while you’re doing it. The small scope of this movie (literally and narratively) is an asset, allowing the jokes to land and the characters to develop without too much worrying about the end of the world to get in the way. Have a different favorite (or un-favorite)? Let us know!